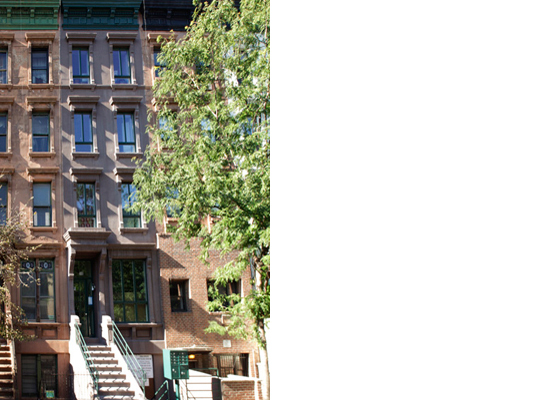 The beautiful 6-story brownstone at 148 W 121 Street in Harlem was built in the early 1900’s and was recently renovated. The duplex apartment on the ground floor has a private garden and a cellar recreation room. The parlor floor apartment has 1 bedroom with 2 bathrooms and boasts 12-foot-high ceilings. The apartments on Floors 2-4 all have 2 bedrooms and 2 bathrooms, high ceilings and balconies. The penthouse apartment has 1 bedroom and 1 bathroom, and 2 terraces in the front and back of the building. All units have exposed brick and open kitchens with stainless steel appliances, a washer and dryer, and central heating and air conditioning.